Humanity’s fascination with travelling into space and exploring other worlds has been reflected in every possible medium, from music and books to movies — and art. With more than 350 images and photos, The Art of Space presents a comprehensive celebration of astronomical art of the past and present, featuring mass-media pulp illustrations and movie posters alongside drawings and sculptures exhibited in major galleries. Five chapters — focused on our solar system, the universe beyond, space travel, space colonies, and alien life — delve into the history and real-life technology behind these artistic representations. Special pull-out features explore leading artists and fascinating moments in the history of space art, such as the Collier’s space program of the 1950s and the Great Moon Hoax of 1835. 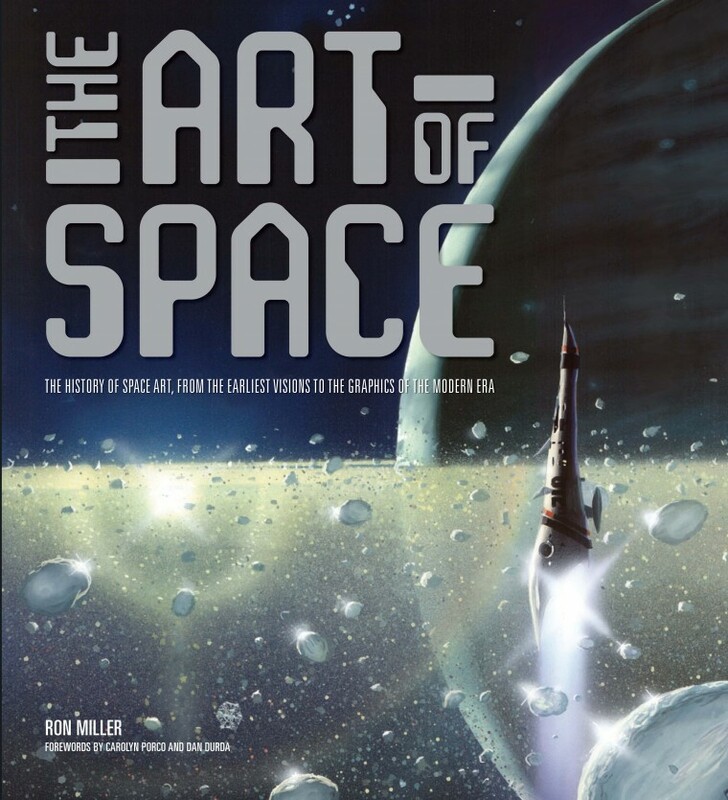 Richly illustrated with 350 images, including work by 25 international artists, award-winning author and artist Ron Miller takes us on an eye-opening journey through the world of space art, engaging both astronomical enthusiasts and newcomers to the genre. Bestselling author Ron Miller is a leading member of the International Association of Astronomical Artists, and an award-winning artist in his own right. An art director for the National Air & Space Museum’s Albert Einstein Planetarium, Miller is also a bestselling author; he has written more than 50 books, include the Hugo-nominated The Grand Tour, Cycles of Fire, In the Stream of Stars, and The History of Earth. …this is a phenomenal book to browse. The sections all provide incredible glimpses of the history of space art, with thematic sections on planets and moons, stars and galaxies, spaceships and space stations, space colonies and cities, and aliens. This is a bit of a bible for the space art genre. If you’re interested in this subject, it’s a book that you’re simply going to have to have. The Art of Space is a wonderful coffee table book encompassing beautiful pictures and text to give the reader an idea of how space and technology have evolved throughout history. I had a wonderful afternoon sitting with my son (7) looking at all the pictures and, with little prompt, hearing his own interpretation to what they depict. 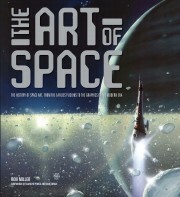 For art lovers, space lovers and science fiction lovers, this book will not disappoint. An Astounding History of Scientific Space Art from the Past 200 Years…. a gorgeous history of scientific illustrations, full of retro rockets and stunning planetscapes. It’s also a glimpse back at the cutting-edge astronomy of yesteryear. It would be a fantastic gift for anyone you know interested in space art or the history of visions of space travel, or for amateur astronomers. This is an impressive gathering of artwork, drawn together by Ron Miller, artist extraordinaire. The book is an eye-catching work showing how astronomy and space travel has been represented in a variety of media over the past two centuries. You’ll find Miller’s book an excellent read and a visual feast – a volume that is an inspirational bridge between art and exploration.